There’s even more evidence that two forms of exercise – cardio and strength training – can help protect you against some of the wear and tear of ageing. A new study in the Journal of the American Heart Association suggests that older folks who clock in more movement see better levels of key blood biomarkers related to heart health. The study emphasises that regular physical activity at any level may be more beneficial than the occasional high-intensity workout. “Let’s get physical” isn’t just a catchy line from an Olivia Newton-John song – it’s a health intervention. Exercise is increasingly being recognised as the closest thing to a miracle drug that we have. Not only does regular movement appear to benefit our mind and body, but it also seems to protect us from many aspects of ageing’s slow wear and tear. For a new study published in the Journal of the American Heart Association, researchers found that older people who spent less time sitting and more time moving had fewer signs of encroaching heart disease. The scientists had 1,600 British volunteers ages 60 to 64 wear heart-rate sensors for five days. They analysed the participants’ activity levels and compared them to indicators of heart disease such as cholesterol precursors and a substance called interleukin-6. Overall, the participants with more activity had lower levels of all of the negative biomarkers. The effects were even noticeable when the researchers looked at participants’ activity in 10-minute chunks. Every 10 minutes spent doing some kind of movement – whether walking, playing tennis, or gardening – was linked with measurable improvements in at least one type of biomarker related to heart health. Conversely, every 10 minutes spent sitting was tied to worse biomarker results. These results add to a growing body of evidence that suggests physical activity can lower the risk of heart disease. 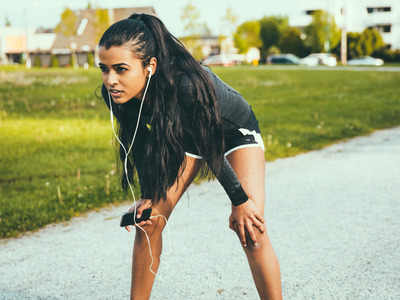 “It’s important to replace time spent sedentary with any intensity level of activity,” Ahmed Elhakeem, the study’s author and a professor of epidemiology at the University of Bristol, said in a statement. This isn’t the first time two forms of exercise – cardio and strength training – have been tied to antiaging benefits. Aerobic exercise, or cardio, is the type of workout that gets your heart pumping and sweat flowing, while strength training helps keep ageing muscles from weakening over time. Both of those types of exercise are important for the heart, parts of which can grow stiff with age. The left chamber of the heart, which plays a key role in supplying the body with freshly oxygenated blood, is especially susceptible to age-related damage. A recent study published in January in the journal Circulation found that adults who practiced supervised exercise four to five days a week saw significant improvements in their heart’s performance over two years when compared with a control group that did only basic stretching and balancing moves. Those results suggest that some stiffening in the heart can be prevented or even reversed with regular aerobic exercise. “Based on a series of studies performed by our team over the past five years, this ‘dose’ of exercise has become my prescription for life,” said Benjamin Levine, the author of the study and a professor of internal medicine at the University of Texas Southwestern. Regular movement seems to have benefits for the ageing brain as well. In May, a large review of nearly 100 studies published in the journal Neurology: Clinical Practice found that older folks who got roughly 40 minutes of exercise three times a week showed significant cognitive advantages compared with people who did less exercise or none at all. 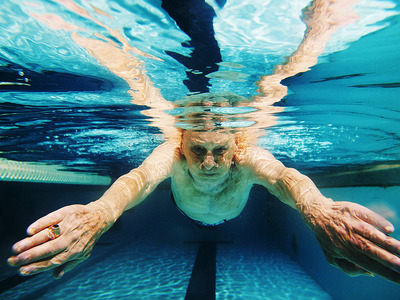 “This is evidence that you can actually turn back the clock of ageing in your brain by adopting a regular exercise regimen,” said the study author Joyce Gomes-Osman, a rehabilitation scientist at the University of Miami’s Miller School of Medicine. A growing body of evidence suggests that the time you spend on a single workout matters less than the total time you spend at the gym over long periods. That means whether your latest workout was five or 50 minutes is less important than whether you hit the track or pool regularly – at least several times a week. When it comes to the heart benefits observed in their latest study, the American Heart Association recommends getting at least 150 minutes a week of moderate-intensity exercise like walking or 75 minutes a week of vigorous-intensity exercises like kickboxing, along with muscle-strengthening exercises two or more days a week. If you’re curious about how to get started, we recently spoke with a physical trainer and exercise scientist who laid out an easy weekly plan. Try it for yourself!